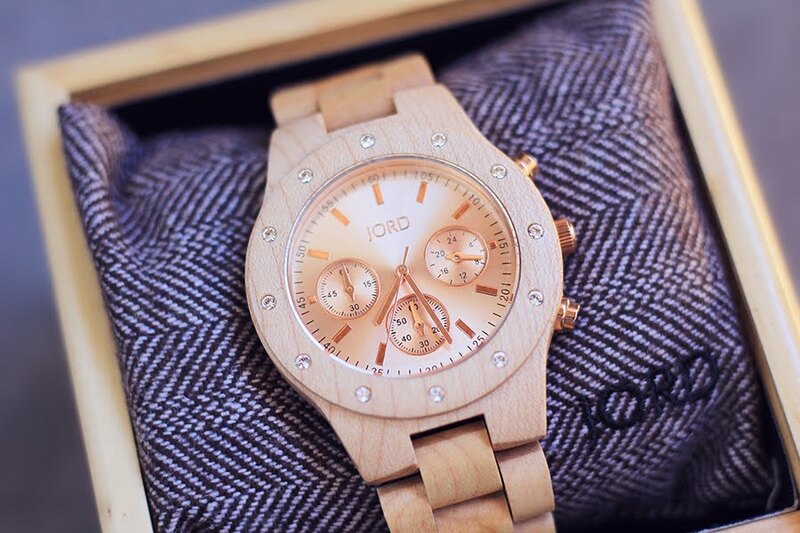 This is the JORD SIDNEY series Maple & Rose Gold wood watch. and reflective rose gold case sheltered by sapphire crystal glass and features a swarovski crystal inlayed bezel. I have to say as far as site photo accuracy, this watch is actually much prettier in person. Personally, I find the Maple to be a softer, lighter shade that looks very feminine. This watch also features push buttons, making it simple to clasp and release. This watch is beautiful, the quality is unlike any other watch I've owned and it is incredibly unique. 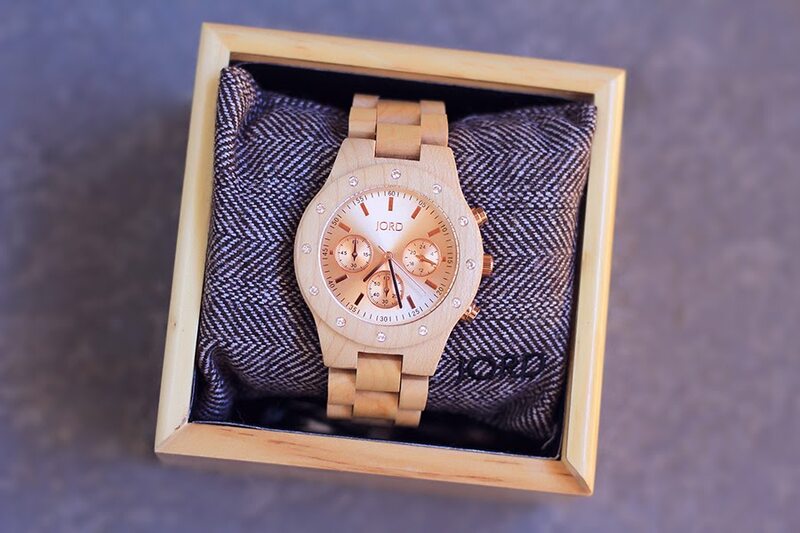 The price is a bit steep at $199, however if you're a lover of watches, wood accessories or you're just able to splurge, I think this would be such a great accessory to own! Could you live without it? Of course! It is just an accessory, a luxurious item. However, in my experience, you can truly see the time and detail put in designing this watch and for that, the shoe (or price) fits. 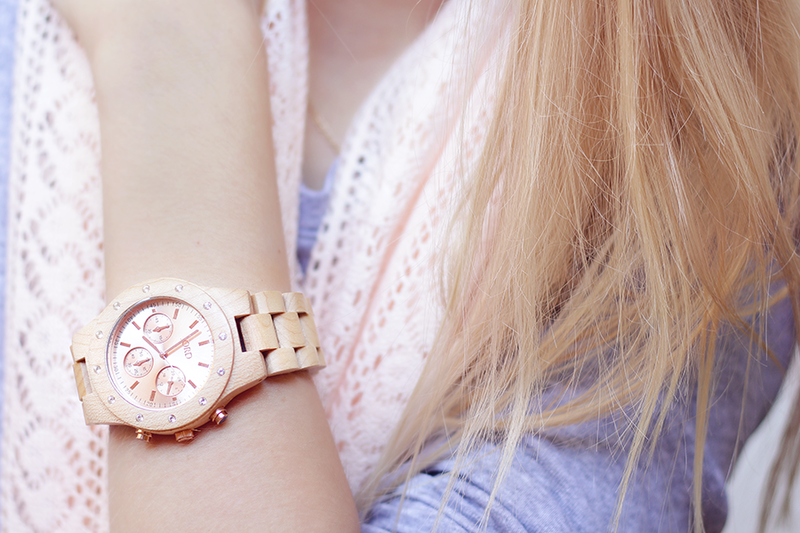 The rose gold detailing is so gorgeous, I was quite surprised by how much I've enjoyed this watch. 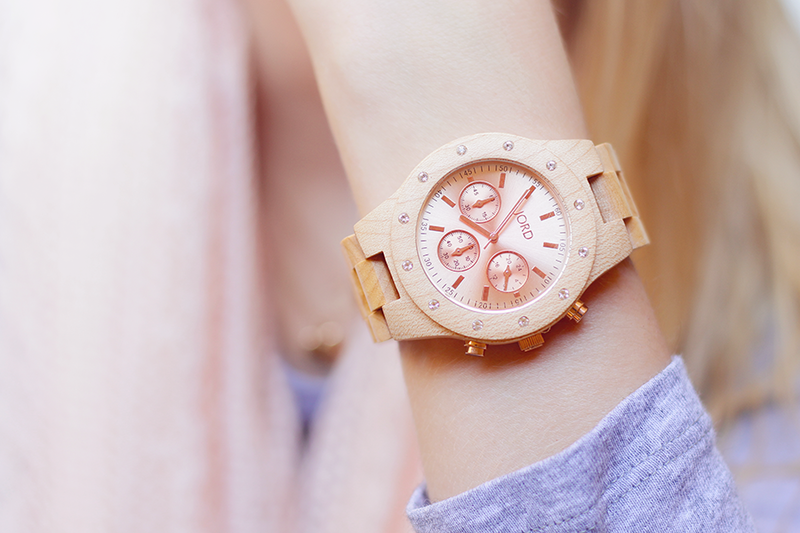 Who doesn't love rose gold anything though, right? If you have any questions or concerns, I highly recommend checking out their FAQ page!